One of the best ways to start and grow a business successfully is to study those who have done just that. 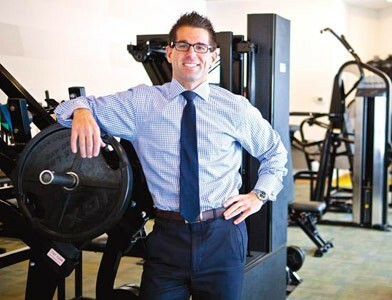 In this episode of Corporate Warrior, joining us for his fourth go-around is Luke Carlson, a Certified Exercise Physiologist and Kinesiologist, Cancer Exercise Specialist, and most importantly, the founder and CEO of one of the most successful high-intensity training businesses in world, Discover Strength. Luke’s expertise in business, leadership, and evidence-based resistance exercise is highly sought-after and has led to speaking engagements all over the world in events such as Filex Australia, TaiSPO in Taiwan, the Annual IHRSA Convention, the IHRSA European Congress, the Fitness Leaders Summit, China Fit, Mindbody Bold, and the Vistage Executive Summit. In this episode, we talk about how Luke approaches managing his time, his actions, his mindset, and everything else in between with regard to what it takes to run a large and still-growing HIT business in the smartest, most effective ways possible. Want to hear more from Luke Carlson? Check out previous episode with Luke here: Part 1, Part 2, and Part 3. QUESTION(S) OF THE DAY: What part of starting, running, or growing a HIT business are you most worried about, if you’ve ever considered doing so? Please let me know in the comments at the bottom of this post. Luke, is there a general ballpark for load in relation to bone mineral density? I’m mainly working with bodyweight (some free weight too) would progression to unilateral exercises (one armed push ups etc) provide sufficient stimulus? Andrew, Depending on your strength levels, a 1-arm push-up would definitely be enough load for maximizing bone mineral density. However, you might be limited across all muscle structures, joints, and bones if you stick solely to bodyweight.